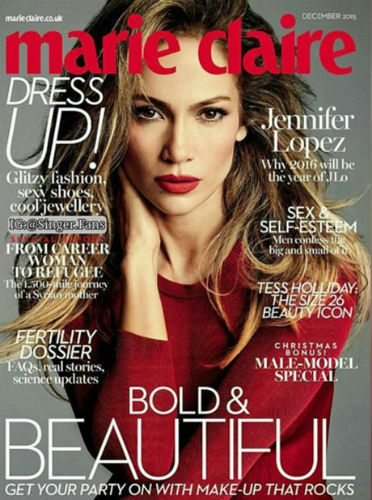 -I’m coveting the shade of red lipstick Jennifer Lopez is wearing on the cover of Marie Claire UK. –Blake Shelton and Gwen Stefani were spotted holding hands, and whoever is manning People’s Twitter feed is very excited about it. –Sandra Bullock and her boyfriend also dared to hold hands in public. What’s this world coming to?! -I feel like we’ve seen this dress on Angelina Jolie before, no? Her movie isn’t getting rave reviews…yet. –Michael Fassbender says his horse on the Jane Eyre set got an erection every time he tried to mount it. Understandable. –Justin Bieber says his relationship with his mom is “pretty nonexisting.” Just like his grasp of the English language. –Donald Trump is bragging that he got veto power on any SNL skit he deemed too “risque.” Yeah, I think that’s called being an SNL host. -A new clip from Brooklyn has arrived. God, I love this movie. -This lawsuit between Sean Penn and Lee Daniels just gets curiouser and curiouser. -Wow. I can’t remember a TV show that’s gotten such unanimously positive reviews like Aziz Anzari‘s Master of None. It’s now on Netflix, so knock yourself out. –Mandy Moore is dating the guy from Dawes? Good on her! -Is it just me, or has Robert De Niro turned into a grumpy old man overnight? –Adele says her management took away her tweeting privileges because she drunk-tweeted too much. In other news, I really need management. -Let’s all listen to the new Coldplay song and wonder if Chris Martin is singing about Jennifer Lawrence. –Bryan Cranston and Stephen Colbert pondered life’s big questions last night. -A new international Star Wars trailer has arrived, and it’s so much better than the first one.